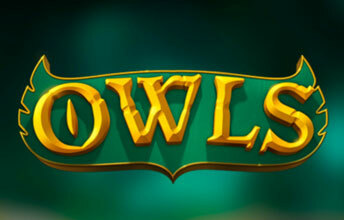 Finally a new Owl slot. This 5-reel slot from No Limit City plays very nicely and has some fun features. It’s undoubtedly the best game in their portfolio in our view. The base game is a 5 reel 3 liner. Graphically it’s very nice and it feels well polished. This is a nice addition, a distraction more than a potential money spinner it’s frequent enough to add to your bankroll but not so frequent as to get in the way of the game play overall. If you land 2 or 3 of the scatter symbols (on reels 2, 3 and 4) then you’ll receive scatter loot. Results vary but keep your expectations in check. 5 free spins with added wilds. 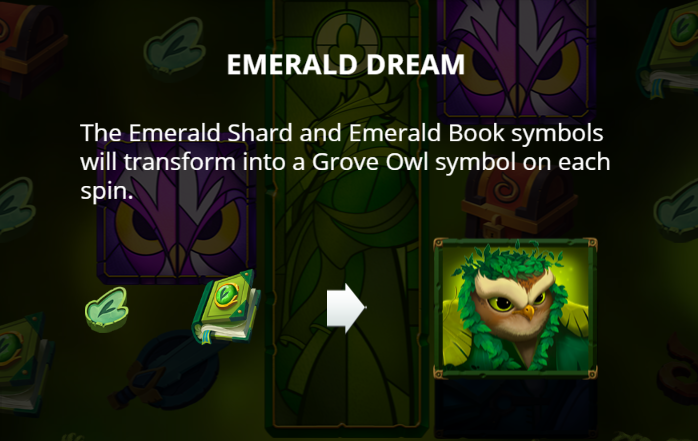 Triggered by the green owl the Emerald Dream feature gives a stacked Wild on the center reel and turns other symbols wild during free spins. It seems to be the most commonly awarded feature and I can’t see this being a big payer, we’ve hit it a few times and it’s always been a very small multiplier (10x or so). With a top symbol match of course it could be different but bear in mind there aren’t many massive paying symbols here. This one was more elusive during our play but this is the most common and the lowest volatility of all the features. It’s essentially the same as Emerald Dream with a sticky wild on the feature reels, but the additional wilds in this mode are the lower paying blue symbols. It’s a fairly low volatility game so it’s not going to appeal to the high rollers but it’s pitched very nicely for the more casual player. Most importantly perhaps it’s a step change in quality for NLC which we really hope continues. We did have a fairly decent win on Owls and you can see the video of that win below and on our Streaming Page.